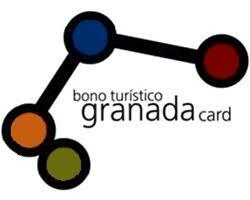 If you are staying with us for two nights or more, you can request the Granada Card. This tourist card offers you the chance to enter the main monuments in the city, including the Alhambra (Alcazaba, Nasrid Palaces and Generalife), the monasteries of La Cartuja and San Jerónimo, the Science Park and the House of Zafra. Guided tour around Spain’s most visited monument. The service includes a pick-up at the hotel, full admission to the Alhambra with an official guide and return transfer to the hotel. Group visit price: 59 euros per person. Normally, the tour is at 9.30 a.m. but it is subject to timetable modifications. Private tour price: Subject to visitor number, please check. For two people, price is from 350 euros. Always subject to availability. Advance booking highly recommended. We adapt to your needs and budget. Check out the different experiences we can offer, all of which can be combined. Purchase your gift voucher in our hotel or we can send you your purchased services via email in PDF format. Sensuality, sophistication and elegance come together transforming dresses into beautiful designs created for women to feel the flamenco spirit. Wear the magnificent dresses of the Sueños collection by Luz Atelier, get your hair and make-up done for the occasion and immortalise it all with a photographic session in our hotel. Estimated duration: 3 hours. Advance booking mandatory. Please contact the hotel and detail your sizes for the dress. The price of this tourist card is 26 euros per person, of which you pay 16 euros when you request it, non-refundable and with credit card, and 10 euros directly at the hotel when you check out. The booking for the card must be made 3 months in advance. Admission to the Nasrid Palaces is only within the times expressly stated on the ticket. With the general admission, you can visit all the spaces in the Alhambra including the gardens (gardens ticket purchase not required). During the daytime admission, you can also visit the special monthly space. If you wish to book the card, please contact us via email detailing the name and surname(s) of all visitors along with their ID card or passport number and a valid credit card number with the expiry date and CVV number (the 3 or 4 digits you can find on the back of the card) to which the booking will be charged (16 euros per person). Furthermore, please state your time preference to visit the Nasrid Palaces (morning or afternoon). If there is no Granada Card availability, please ask us for the other options we offer to visit the Alhambra.